After nearly 10 years in its old location, Friends of the Oregon City Library's used bookstore is now at 814 Seventh St.
After nearly 10 years in its old location, a bookstore benefiting the Oregon City Public Library moved April 5 a few blocks up Seventh Street to a location that supporters say is even better. 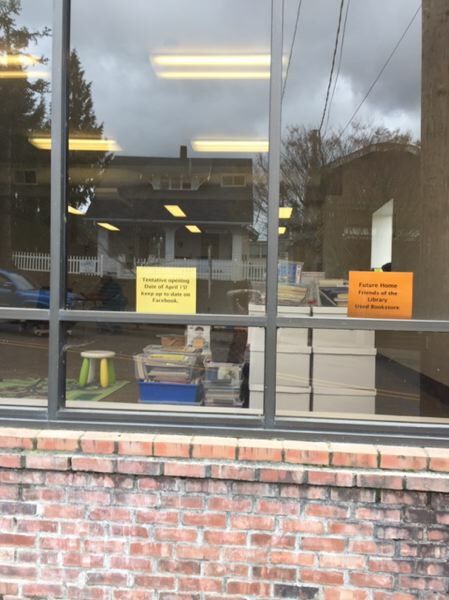 Friends of the Oregon City Library's used bookstore, now at 814 Seventh St., is so close that the library is in full view from the store. The site includes three dedicated parking spaces in a large adjacent parking lot for easy donation drop-off. Additional parking is available across from Mike's Drive-In at Madison and Seventh. Friends 2019 Chair Lynda Orzen noted that the bookstore couldn't pass up the opportunity to share building space in the new location with the offices for B&B Leasing, which manages the Oregon City Garbage Co. Pam Bloom, owner of B&B Leasing and chair of the Oregon City Library Foundation, helped facilitate the move. "We were given a wonderful offer," Orzen said, "a 10-year lease with an affordable cost-of-living increase. We already love our new neighbors." Orzen added that book lovers will enjoy the bright and airy feel of the new space, with large windows on two sides and an inner wall window connecting readers to the bookstore's office. A "fresh new feel" for the bookstore will be facilitated by newly cleaned carpets and freshly painted walls. "A dedicated children's area is anchored by an area rug patterned with curving roads that spark the imagination," Orzen said. "A comfy reading chair from Ikea completes the inviting setting." While most bookstores that support libraries are crammed in a corner of an unused portion of the public library, Oregon City has long benefited from a large stand-alone bookstore. 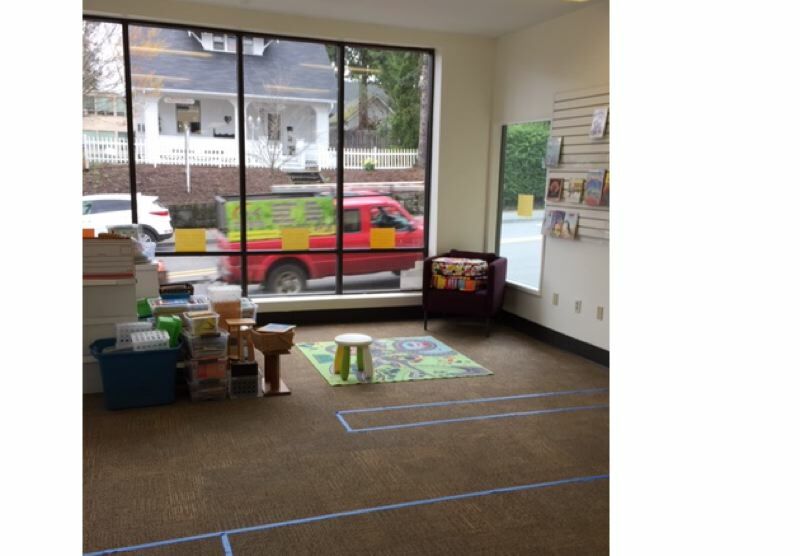 Oregon City Library's charity bookstore was in an approximately 3,000-square-foot space and now has slightly under 2,000 square feet. Orzen credited other board members for Friends of the Library with the successful move, including Harryette Shuell, who took on the job of inventory logistics, measuring the new space to decide how books and media would be displayed. The bookstore's volunteer staff, several of whom have been volunteering for more than 10 years, helped work through the existing book and media collections, clearing out inventory with everything 50 percent off during March. Friends Treasurer Jan Salisbury took care of logistics and paperwork, including phone connections. Library boosters hope to be able to have a soft opening for the new bookstore by April 15. When the bookstore's doors reopen for business, staff will accept donations of books and media. The Oregon City Chamber of Commerce plans a ribbon cutting for the new location on April 23. In December, Friends of the Oregon City Library bookstore's 20th anniversary celebrated decades of providing used books at reasonable costs, mostly donated by local supporters. A grand opening for the bookstore's new location is planned for May 1. "We'll be giving out free book bags to the first 200 customers," Orzen said. "And we can always use more volunteers. We couldn't be as successful without them. Thank you, Oregon City book lovers and library supporters!"